One or more photo(s) has been virtually staged. 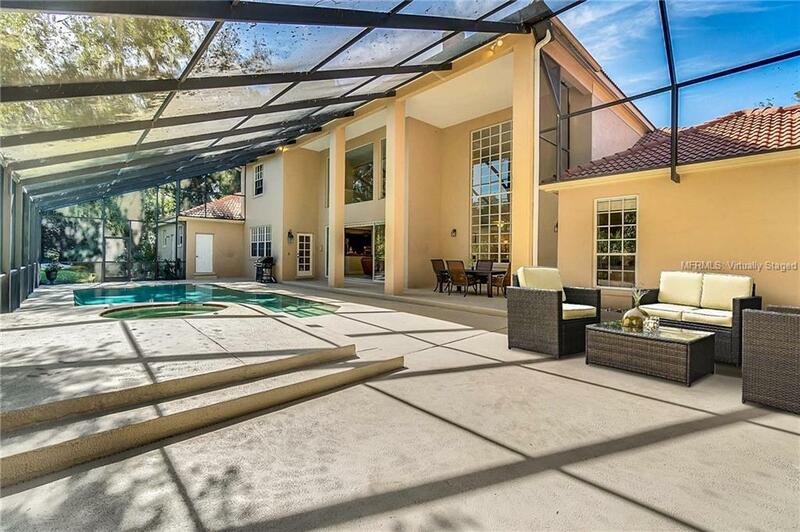 Privacy and Space Galore best describes this well-appointed 2-Story Estate Home. 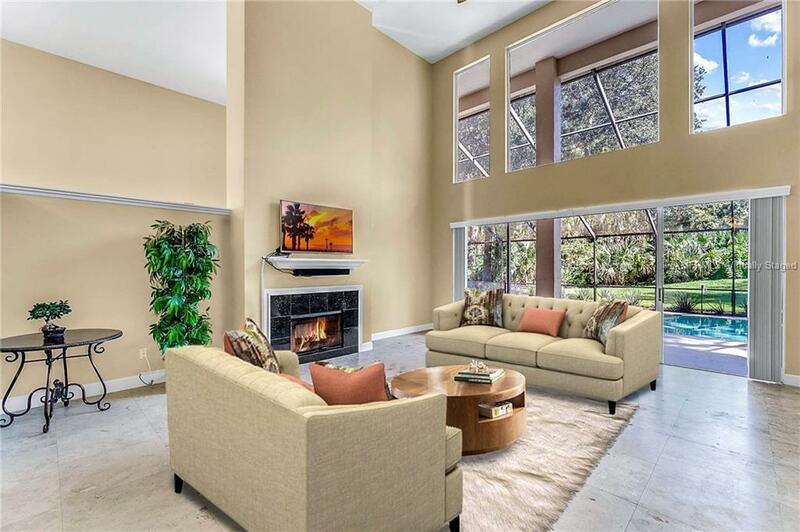 6,039 SF of gracious living space with 6 bedrooms, 5 baths in the main house and 1 bedroom, 1 full bath in the 834 SF separate Guest House featuring a fully equipped kitchen and living room! A 789 SF 3-Car Garage plus a circular drive for extra parking space. 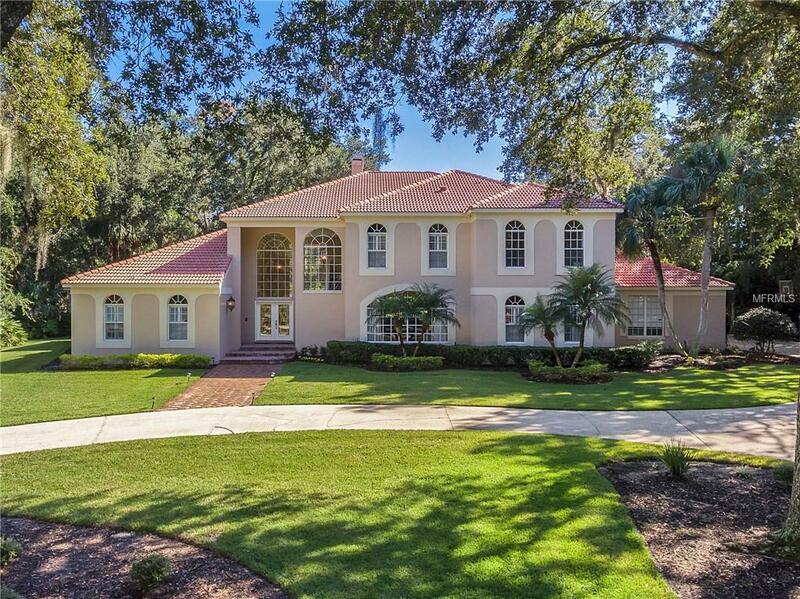 Lush tropical landscaping on a 1+ acre home site, surrounded by nature in the coveted guard-gated community of Wingfield North in Longwood. 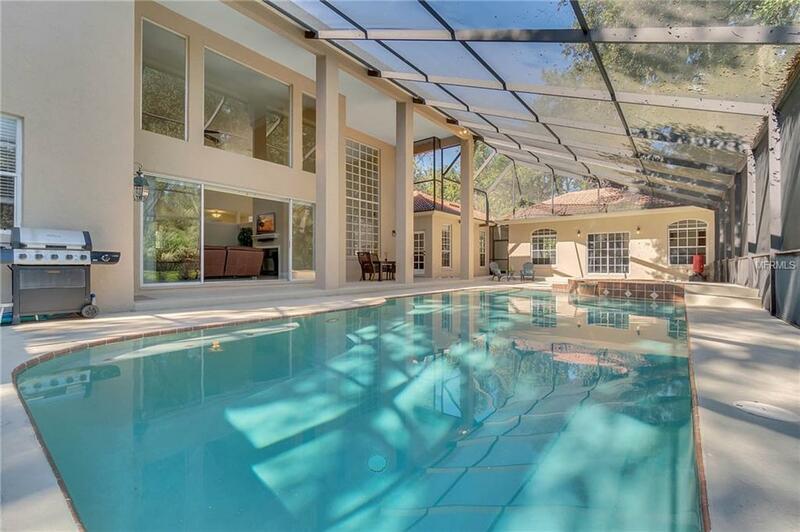 Bright and open formal living room with bay windows, soaring ceilings and pool view. Fabulous open floorplan with plenty of space and beautiful tile flooring throughout!On the main floor, the Owners Quarter features a lavish master retreat with private sitting area, walk- in closets and a fully remodeled spa-worthy Master Bath with soaking tub and gorgeous travertine flooring with plenty of room for lounging. A separate downstairs Guest Room with its own private bath is perfect as a Mother-in-law Suite!2 staircases on each side of the home lead you to 4 Jack & Jill bedrooms with awesome closet space and 2 full baths. The large Gourmet Kitchen and Dinette flow into the Family Room with sliding doors leading you to the screened swimming pool. Adjacent to the kitchen is a private lounge room with a washer and dryer, designed by the owners to create a perfect relaxing area! Zoned for Great local schools, located near major highways, restaurants, shops, Beaches and Theme Parks. Call today to schedule your private showing! Listing provided courtesy of Orlando Expert Realty Llc.